It’s hard to believe it’s already been 1 year since my friend Kiva started the Plant Healer Magazine yet, this issue marks the 1 year anniversary! 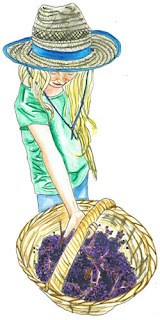 This issue is 264 amazing pages of articles from well known herbalists, up and coming herbalists and even kid herbalists! 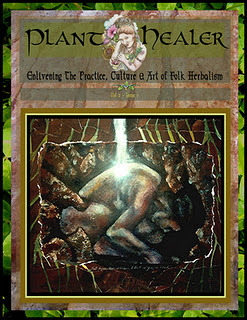 There are lots of drawings, color photographs and art work pertaining to herbs. It is published quarterly and features a variety of articles including monographs about plants, herbal marketing, herbal medicine making, herbal birthing, the roots of herbalism, herbal botany and many more topics that are of interest to the traditional herbalist. You’ll also find stories, cartoons, poetry and a variety of herbal posters to amuse and delight yourself! I had the pleasure to write 2 articles for this issue in addition to offering a full paged drawing titled ‘Harvest’ to contribute to this beautiful publication. It has to be one of the most beautiful and informative herbal publications that can be found.